As Human Beings, We all desire happiness, success, health, and peace of mind. The True Secret offers practical step-by-step program that you could use to evaluate your situation and begin to make changes in beliefs and actions, working towards success in this life and the next. The examples, tools, and explanations are in accordance with authentic Islamic teachings and yet, still, not surprisingly, in accordance with the latest scientific researches and recommendations. This book is your personal journey towards unlocking your full potentials and Reaching success, happiness, and wellbeing. It assists you in Finding Your Path and achieving your goals and deeply held dreams, in this life and the Next. The Urdu edition is ready for printing. The Turkish edition layout has been completed, and it’s being proofread. The Portuguese edition is ready for layout. The Arabic and French editions are being prepared for layout. The Spanish edition is in queue to be prepared for layout. 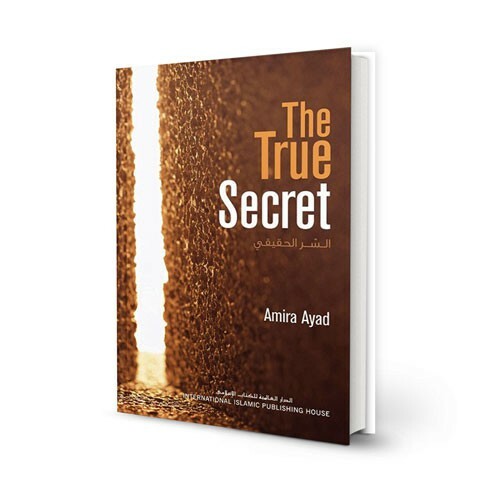 "I came across your book "the true secret" during this ramadan at a time that I really needed some focus in my life and I have found it so helpful that I have given out 5 copies to my sisters and friends" Fatima, UK. Get The True Secret from Amazon Now!